First you will need to click on the setup64.exe file and the following will display. Now click on the YES option and follow the install instructions. 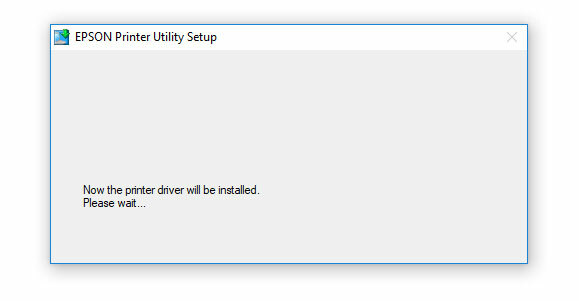 You will note that when you install the L1300 printer driver you will see the option of installing the driver as a default printer as well as checking to update you driver to latest possible driver. 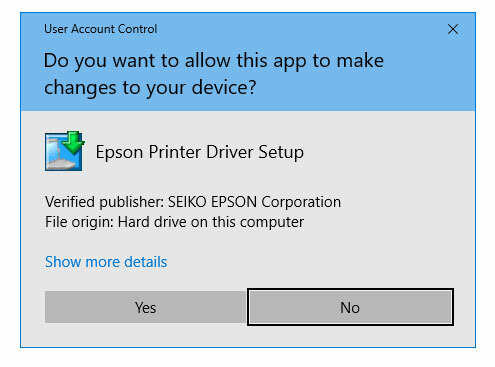 This L1300 Epson printer driver is version 7.8.11 and it is the English version of the driver. The Epson printer utility setup works well. 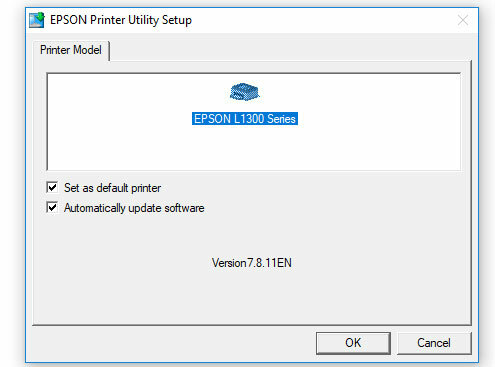 Click on OK and you will then get the driver install for your Epson L1300 printer. 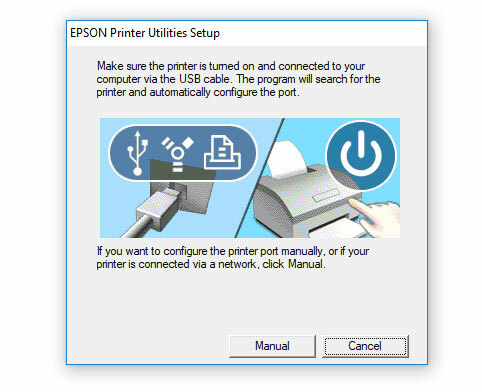 It will search for the printer so it it is not connected then you will get another menu being that you will install the Epson L1300 printer driver without the printer or you can turn the printer on when prompted to do so as you will see from the following picture. You can click Manual or you can turn the printer on. You can download the Epson L1300 printer driver below. Note again that this is a 64bit driver for Windows and will run and install on Windows 10.